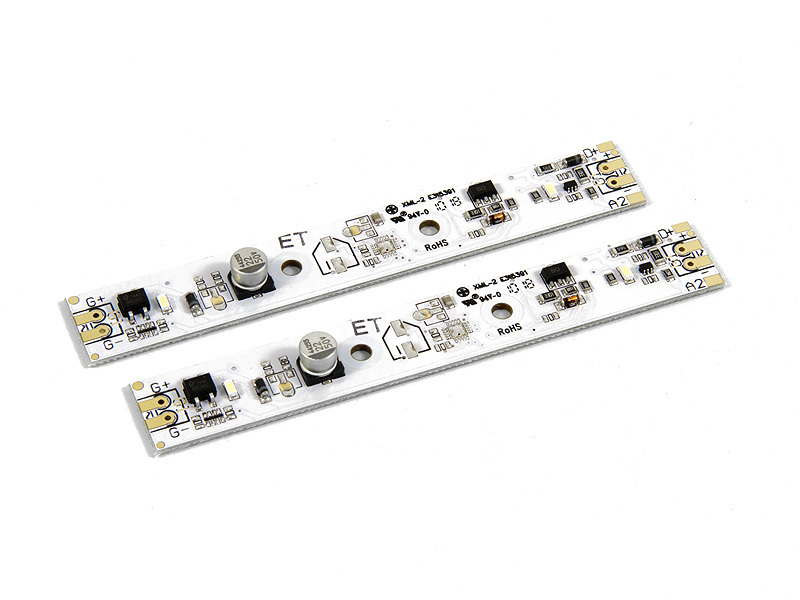 White-coated lighting boards with 2 long-lasting, energy-efficient, extra bright white LEDs and an integrated voltage stabilization circuit; works with AC (0-24) DC (0-24V) and DCC (0-24V); suitable for installation in almost all LGB® passenger cars. 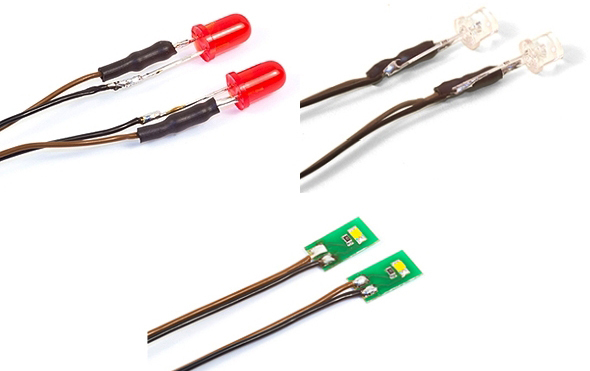 The lighting units feature an integrated power buffer; a separate capacitor may be installed on the backside to increase the buffering time. 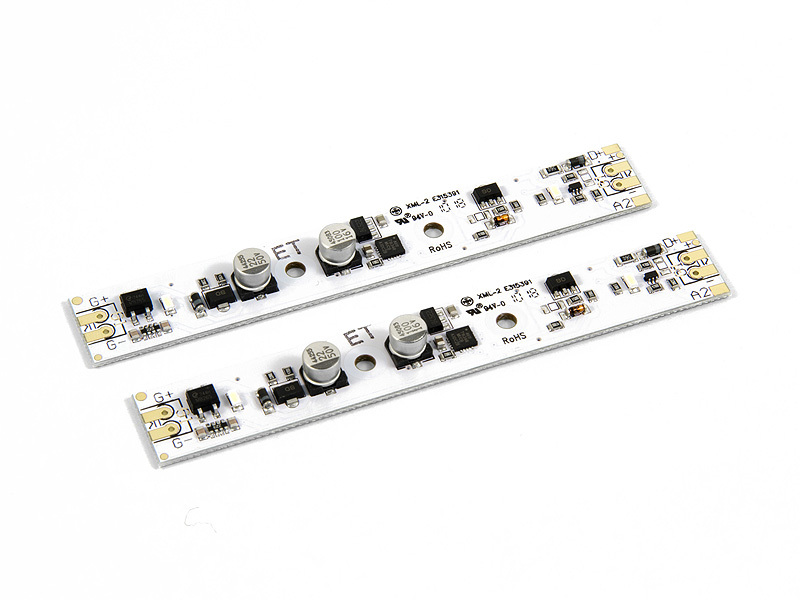 White-coated lighting boards with 2 long-lasting, energy-efficient, extra bright white LEDs, a built-in voltage stabilization circuit, and an integrated 2-channel decoder; works with AC (0-24V), DC (0-24V) and DCC (0-24V); suitable for installation in almost all LGB® passenger cars. 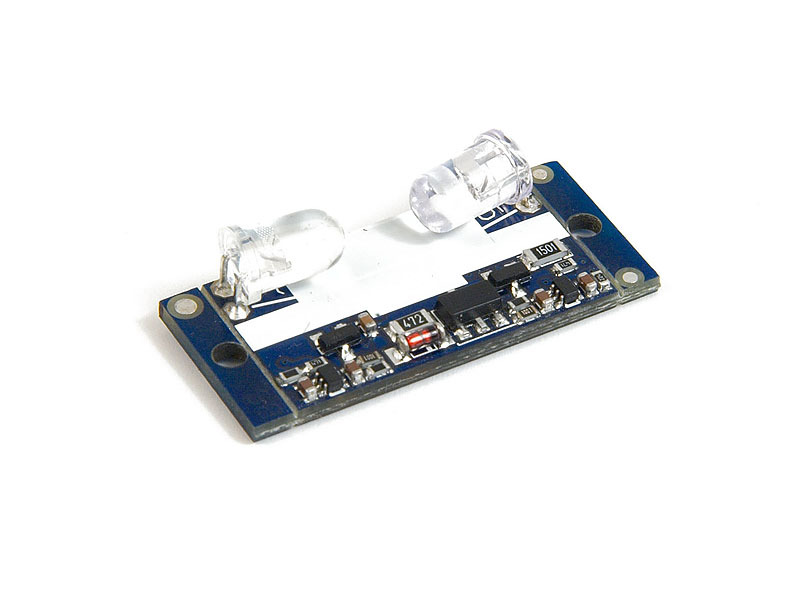 The integrated decoder features 2 function outputs with a total combined load capacity of 130mAmps. Lighting effects such as dimming, simulation of fluorescent tubes or mars lights, as well as single or double strobe are possible in digital and analog mode.